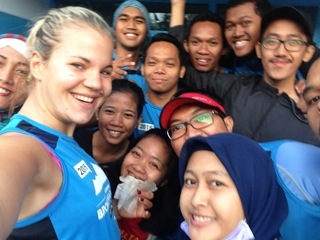 “During my six weeks of internship with Lagu Damai Foundation while staying at Jiwa Damai permaculture center, I was working on a psychological self- exploration focusing on personal growth and self-development. My personal growth project included five main dimensions: the mental, the emotional, the physical, spiritual and nutrition. Through tools such as the daily HeartSelf-Intelligence meditation, yoga and garden work I was able to explore and experience myself in a very new way. I received excellent guidance and supervision throughout the whole time of my internship. I am deeply satisfied with my internship. I didn’t expect such an in-depth personal growth process. I feel that this internship has been a wonderful opportunity to expand my horizon on many levels and will be a huge benefit for my future.”, Natalie our intern. Find out more about our internship program here. 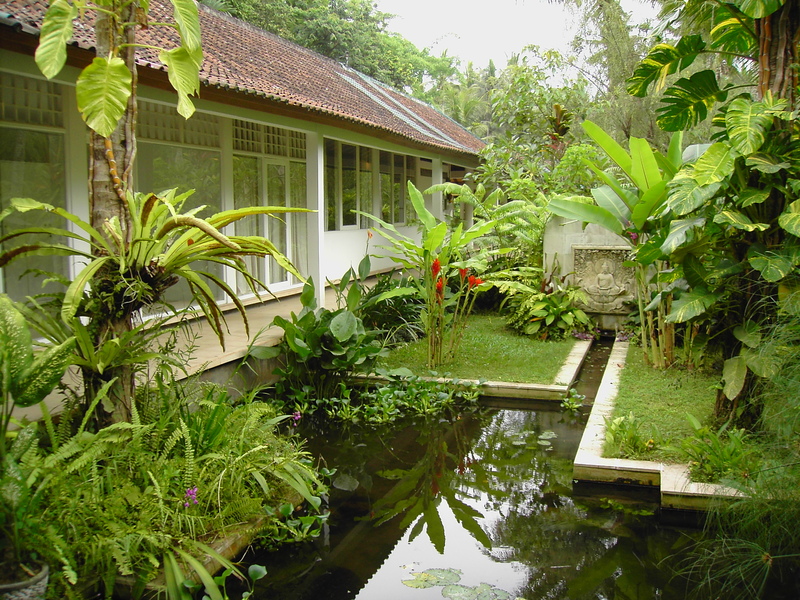 The seminar setting is in a natural tropical environment which provides a conducive space where a deep connection with one’s own heart and the heart of the earth may unfold. An alignment with the own potential and the earth’s potential means to welcome the present changes as symptoms of one’s own and the earth’s growth process. A profound acceptance is needed to align with the heart of the earth’s vibrational frequency and welcome the process of moving into the new. 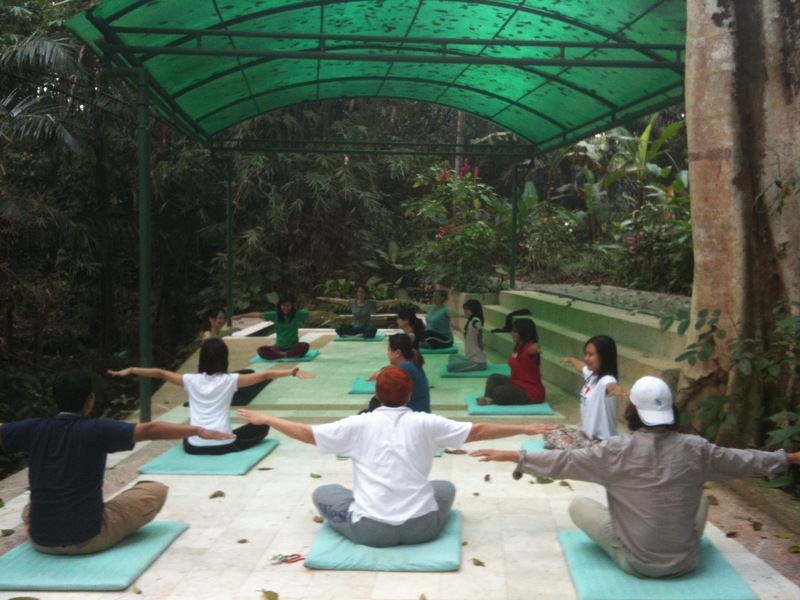 The seminar is based on The HeartSelf-Intelligence® method, a transpersonal psychological approach. 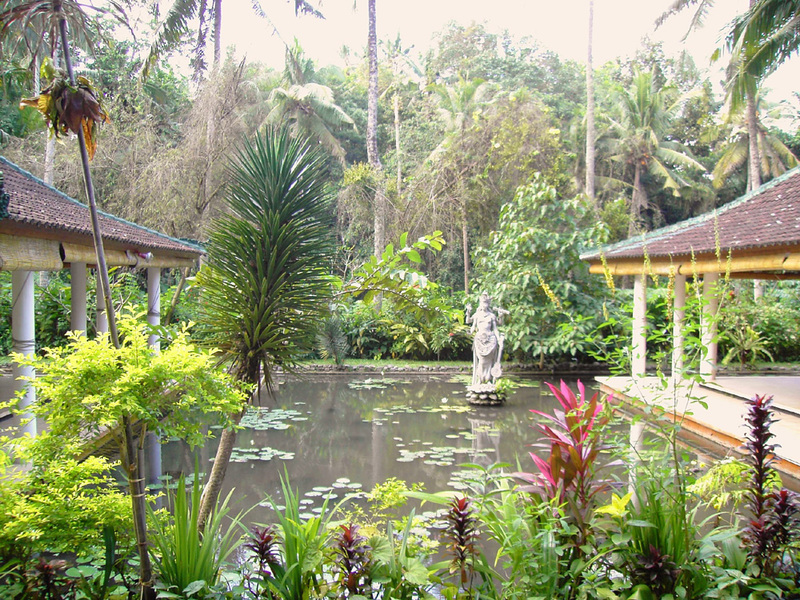 All income that is generated at Jiwa Damai retreat center is returned to the community through projects and programs run by The LAGU DAMAI Foundation, based in Bali, Indonesia. 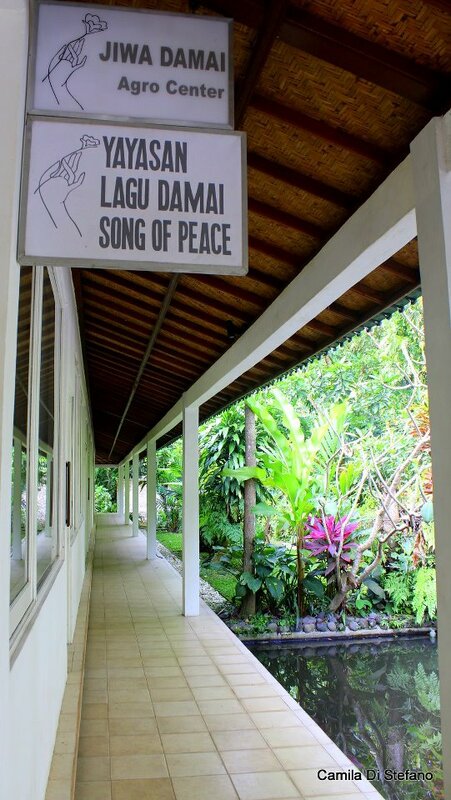 The Lagu Damai Foundation provides opportunities for youths and adults in education and conceives and develops socially responsible projects. 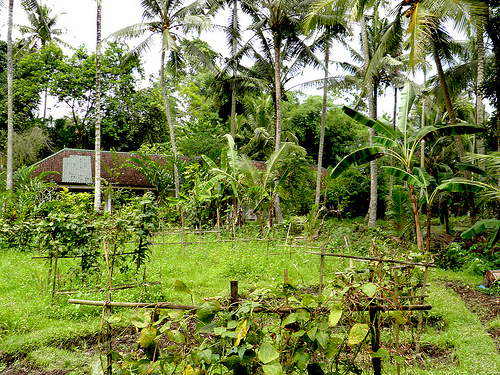 Jiwa Damai Agro permaculture and retreat center is located on a four hectare property next to Banjar Bindu, Mambal in the district of Badung, Bali, in a small tropical valley. 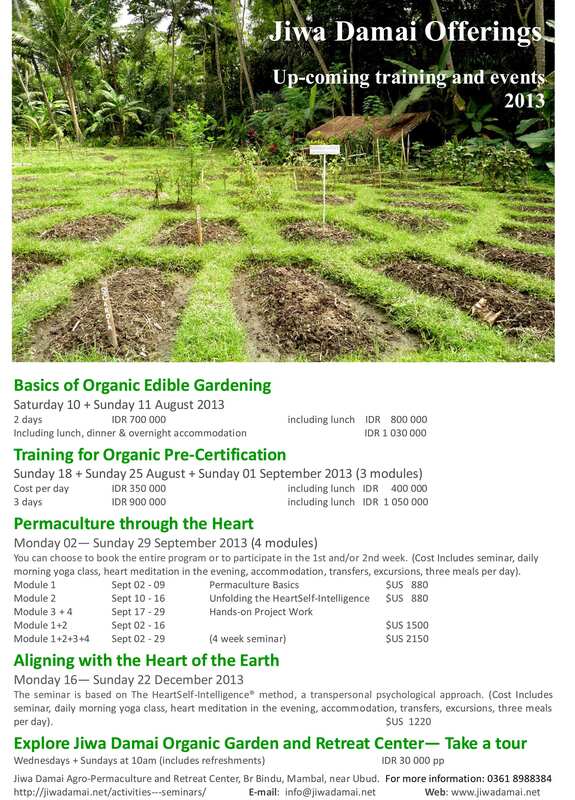 This program is the first of its kind, working with the psychological framework of the mind, theoretical Permaculture principles, design and planning, planting, harvesting and food preparation – all in alignment with the heart energy.